Knobkerrie and Spear: Represent the Right to restore the might, power and authority of the Matebeleland Nation. The Gold Colour: Represents the resources and wealth of the Matebeleland Nation. Black and White Colours: Represent the Pride of our Nation and our Traditional Colours as captured in Highlanders "Bosso" Tshilamoya FC, ezimnyama ngenkani. 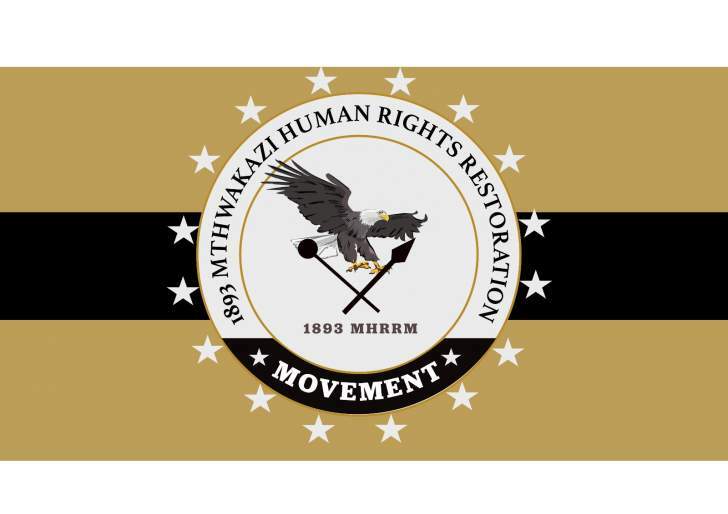 Stars: Represent God's presence, love and guidance in our great push for the Restoration of Matebeleland Human Rights and most importantly that we are the children of the stars. 1893: This is the year in which Matebeleland Kingdom was destroyed by Cecil John Rhodes and his cronies.